"I think hockey is like dancing; it's such an art. At one point it was quintessentially Canadian, and being a Canadian I can say they (the Senators) are ambassadors for the country going into Stockholm, so I think there's something sweet about that as a Canadian. At one point a few years ago I saw the Canadians play in the Olympics, and just watching them play at the height of their ability was very awe-inspiring for me." 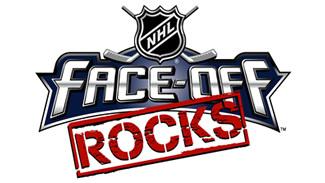 Isn't it ironic that Alanis Morissette will play a part in Thursday's NHL Face-Off Rocks 2008 with a live performance from Place des Arts in Montreal? After all, before she began strumming a six-string, the 33-year-old Canadian-born songwriter already had been fit for a pair of ice skates. "I've been a hockey fan since I was fresh out of the womb, to be honest, and it would have been hard not to be in my family since we're all hockey fans," Morissette told NHL.com. "I played street hockey a lot and, as you probably know, most Canadians learn how to skate when they're 2 years old. I was one of those kids, so I skated a lot on my figure skates and my hockey skates -- I'd go back and forth between the two since I couldn't really decide which I liked more. But it was easier for me wearing figure skates." She even tried a mix of the two blades, but wouldn't recommend it for those just learning to skate. "I had one hybrid pair which was odd -- it was half hockey and had the figure skate picks in the front," said Morissette. "It was a combination skate which was very unusual. I would not recommend them, but it's nice knowing you could do pirouettes right before scoring a goal." Morissette will join in NHL Face-Off 2008 festivities by having part of her concert in Montreal shown via satellite in the Fox Theatre in downtown Detroit, following the raising of the Red Wings' 2008 Stanley Cup banner at Joe Louis Arena. The seven-time Grammy Award-winning artist currently is on the North American leg of her tour in support of her fifth studio album, "Flavors of Entanglement." Morissette, who will tour Florida following her NHL Face-Off Rocks performance, plans to do a new track she considers her ode to the Dalai Lama, "Versions of Violence," off her new album. She will also perform at least one other song from her 1995 hit album "Jagged Little Pill," which remains the best-selling debut album by a female artist in the United States. "We'll pick another song somewhere in the middle of our show that we'll have to time perfectly because it is a live satellite feed, so I'll have to go through the set list and see what will work," Morissette said. "We'll do 'Versions of Violence' for sure and then at least one more song, maybe two." Believe it or not, Morissette is an honorary captain of the Ottawa Senators, a title she's kept since singing the national anthem before Game 4 of the Stanley Cup Final at Scotiabank Place in Ottawa in 2007. "I kind of cut my teeth with (Ottawa), to be honest, as I used to sing the national anthem there, sometimes with my twin brother (Wade), when I was a young girl," she said. She was glad to hear the NHL, and in particular her favorite team, the Senators, had branched out to Europe to kick off the season. "I think hockey is like dancing; it's such an art," Morissette said. "At one point it was quintessentially Canadian, and being a Canadian I can say they are ambassadors for the country going into Stockholm, so I think there's something sweet about that as a Canadian. At one point a few years ago I saw the Canadians play in the Olympics, and just watching them play at the height of their ability was very awe-inspiring for me." When asked if she had ever recorded a song that included a hockey reference, Morissette paused before offering a response. "No, but you're inspiring me to do it," she said. "I'll be doing my research before the season starts to find out who's in there and see who I can have my token crush on (from the Senators) for the season."